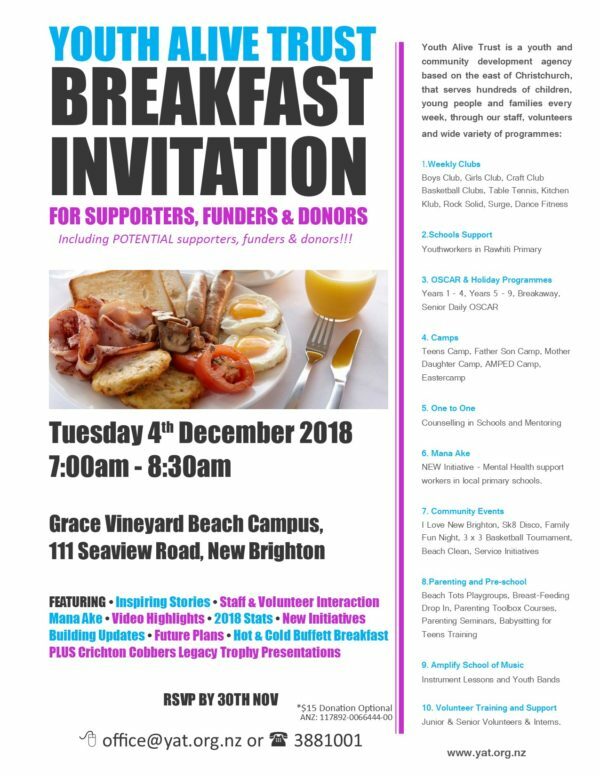 YAT is again hosting our end of year Supporters, Funders & Donors (& Potential Donors) Breakfast on Tuesday 4th December at 7:00am. It is our chance to showcase what we’ve achieved this year, through stories, videos, photos and our partners, and enjoy a buffet breakfast of hot and cold food and drink! There is no cost but RSVP’s must be made by Friday 30th November. You’re also encouraged to forward this onto any colleagues or friends who may be interested in hearing more about our work or supporting our causes.